Mr Lam has made remarkable accomplishments in the legal profession. He is a Notary Public and a China-appointed Attesting Officer. Mr Lam has staunchly supported the development of PolyU by serving as Honorary Legal Advisor and Honorary Member of the PolyU Court. 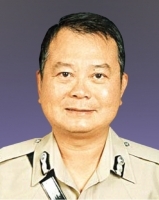 He has also served as Honorary Deputy Commandant of the Hong Kong Auxiliary Police Force and has received from the government a Badge of Honour and a Hong Kong Police Medal for Meritorious Service.